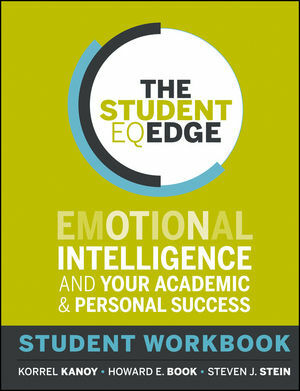 The Student Workbook is a companion to the book The Student EQ Edge: Emotional Intelligence and Your Academic and Personal Success . 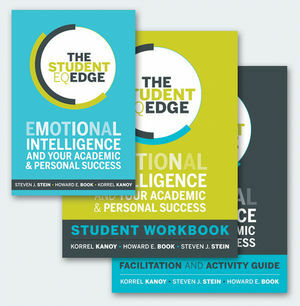 The Workbook offers you a hands-on resource for gaining a clearer understanding of emotional intelligence and is filled with practical exercises for developing your emotional intelligence. 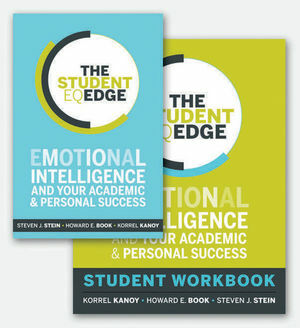 Filled with case studies, self-assessments, activities around movie and television clips, and reflection and discussion questions, the Student Workbook will give you the skills and confidence you need in order to succeed in college and beyond. KORREL KANOY is professor emeritus of psychology at William Peace University and an educational consultant. HOWARD E. BOOK is an organizational consultant and psychiatrist. He is an associate professor in the department of psychiatry at the University of Toronto. STEVEN J. STEIN is a clinical psychologist and founder and CEO of Multi-Health Systems Inc. He is coauthor, with Howard Book, of The EQ Edge .